KD’s Oil Water Separator is a gravity separation device designed by using Stokes Law to define the rise velocity of oil droplets based on their density and size. The design of the separator is based on the specific gravity difference between the oil and the wastewater. 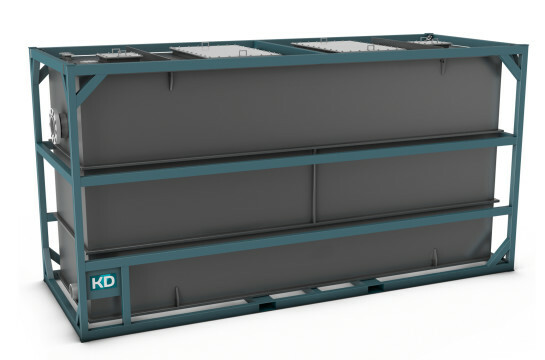 KD International offers an extensive line of Mobile Oily Water Separators that bring both efficiency and low maintenance. With some unique innovations KD´s Oil Water Separators, make the design highly efficient, easy to maintain and suitable for the demand of each individual client and application. Our unique design and technology makes KD’s Oil Water Separators the preferred choice for the following applications; (1) Oil Spills on seas / oceans (2) Oil Spills on rivers / lakes (3) Oil Spills in groundwater (4) Oil Spills in harbours (5) process waters (6) overboard water.